Water. Yard. Bagel. Car. Although the two cities heading into the Super Bowl this weekend are geographically close to one another, you’d never know it from the different ways they pronounce these words. Watch to learn all the nuances of the Philadelphia and Boston accents. The upcoming Super Bowl matchup between the Patriots and the Eagles is getting so competitive that even religious leaders are casting bets. Archbishops in Philadelphia and Boston announced Wednesday that the clergyman from the losing team's city will donate $100 to a charity in the winner's hometown. If the Patriots lose on Sunday, Boston Cardinal Seán P. O'Malley says he'll give the money to Saint John's Hospice, a homeless services organization in Philadelphia. But if they win, Archbishop Charles J. Chaput will donate to Catholic Charities Boston, a social services agency in Massachusetts. 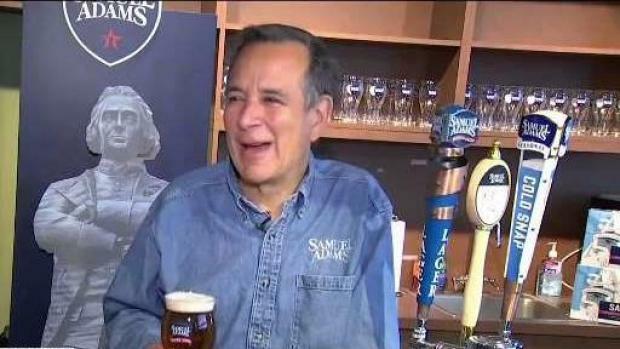 Sam Adams beer founder Jim Koch is teaming with Jack’s Abby’s in Framingham for a Super Bowl bet with two Philadelphia area beer makers, Yuengling and Victory. The archbishops say they're longtime friends from their seminary days. A pair of friendly rabbis in the cities are also making charitable bets over the game, according to ReformJudaism.org. Boston's Rabbi Elaine Zecher, of Temple Israel, and Philadelphia's Rabbi Jill Maderer, of Congregation Rodeph Shalom, are staking 18 times the difference in the Patriots' and Eagles' scores — the number 18 signifies "life" to many Jews — with the loser giving that amount to a local charity, according to the website and confirmed to NBC10 Philadelphia. Both congregations are urging their members to donate as well, win or lose. The New England Patriots and Philadelphia Eagles are facing off on Sunday, Feb. 4, at 6:30 p.m. ET, on NBC.